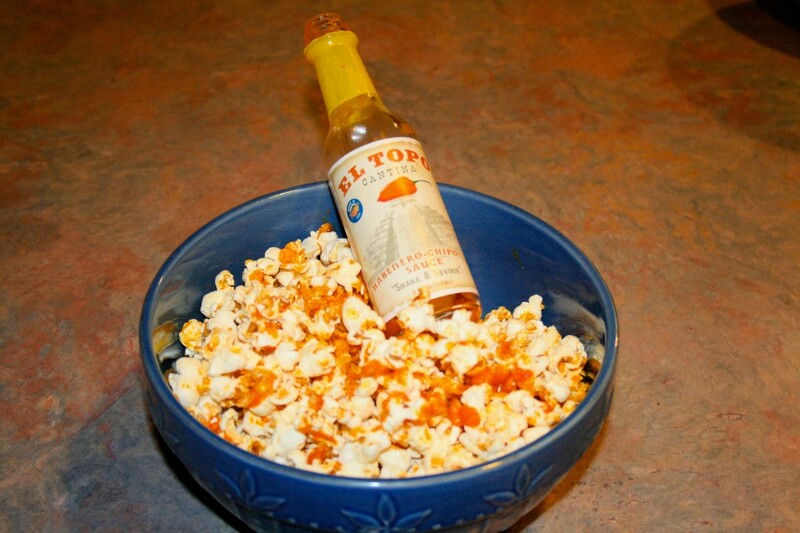 El Topo Habanero-Chipotle Sauce has been many years in the making, yet the recipe has not changed for over twenty years. 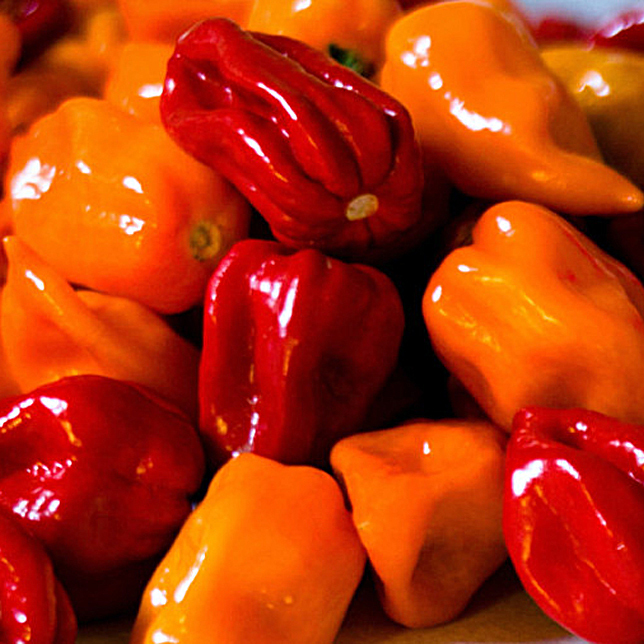 We experimented with the cooking process itself, trying to take some of the sting out of the spiciness, while retaining that Habanero flavor that is so unique that it is actually hard to describe. Yes, we adore it. It’s our baby. 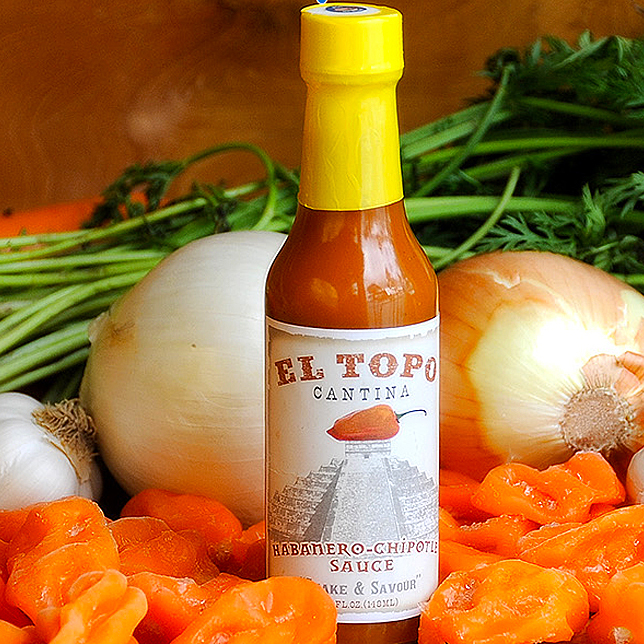 Thanks to our habanero and chipotle loving patrons at the Cantina, we knew that keeping the sauce to a tolerable spiciness (medium-hot) and focusing on the flavor was what our customers liked. 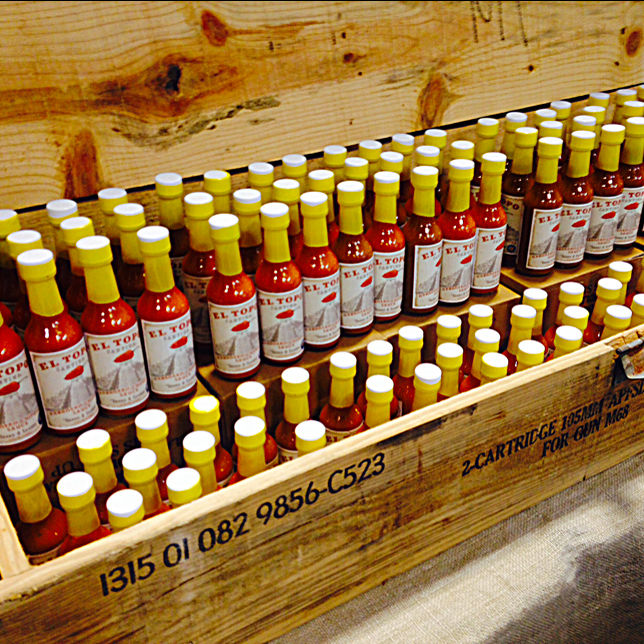 As a matter of fact, it was their idea to bottle the sauce. 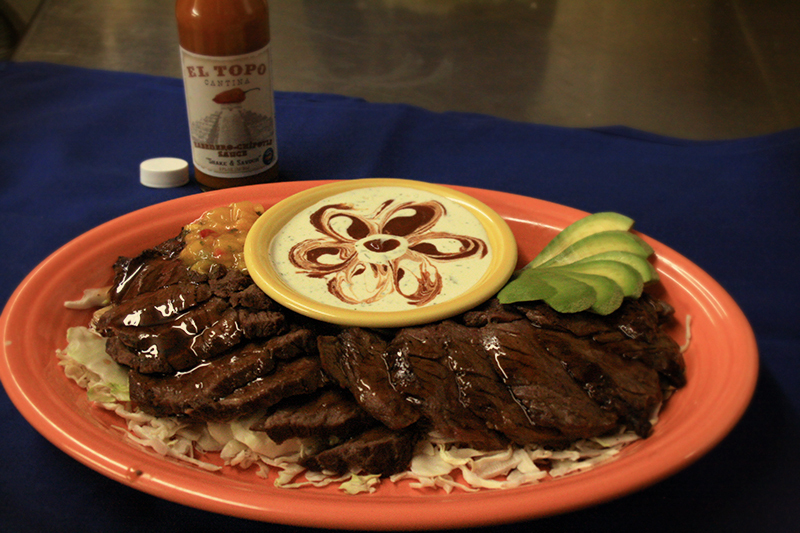 We listen to our customers! 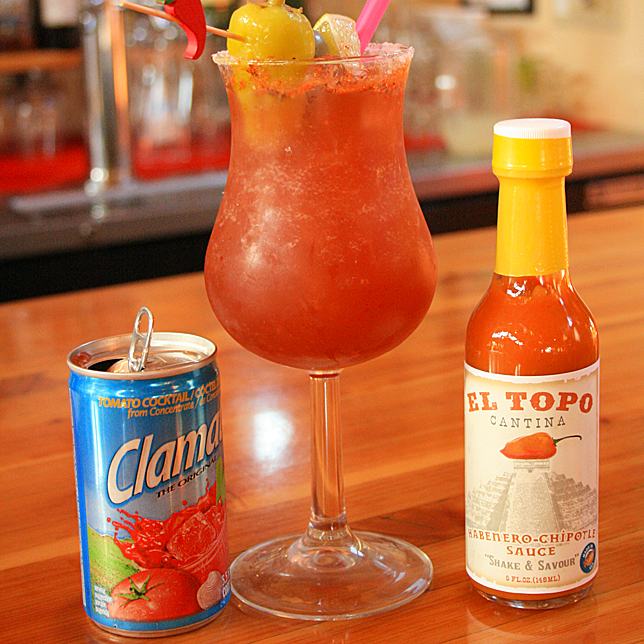 Our friends from up north like to come to town and take a case or two back to Canada, and we have some folks who own a bar back in Chicago who use El Topo Hab in their Bloody Mary’s and Caesars. 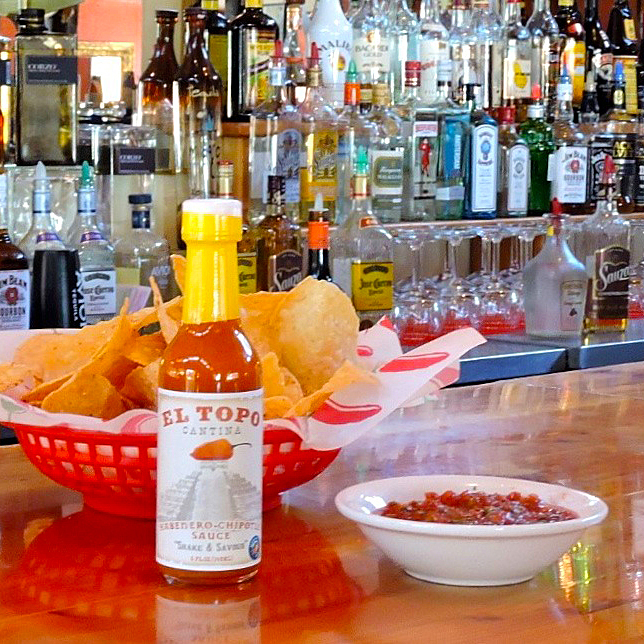 There’s some boys in Sitka, Alaska who fight over it at lunch on the fishing boat, and there’s a restaurant in San Diego that has this sauce on all of their tables. 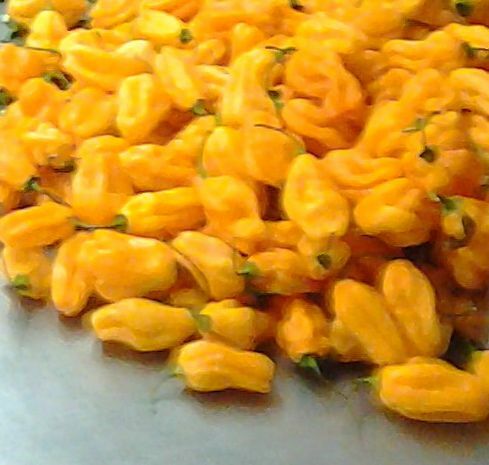 It feels good to know that there are a lot of people who like our Habanero-Chipotle Sauce, and with the gratitude we feel, we also know it is a great responsibility to consistently maintain the highest quality product without exception. That won’t change. 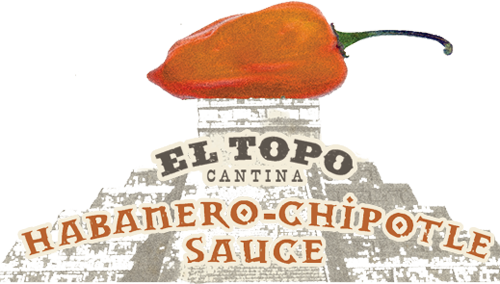 El Topo Cantina Habanero-Chipotle Sauce is cooked and bottled in our own El Topo kitchens here in Montana. 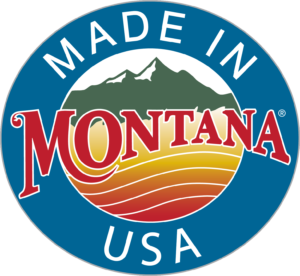 We purchase fresh, non-GMO ingredients and use clear, charcoal filtered Montana water to maintain the highest quality product possible.